Strawberry Burst by Nic Rush is one for the fruit vapers out there. Strawberry Burst e-liquid is packed with fresh strawberry flavour and has a nicotine salt formula for a smooth inhale and a satisfying hit of nicotine. 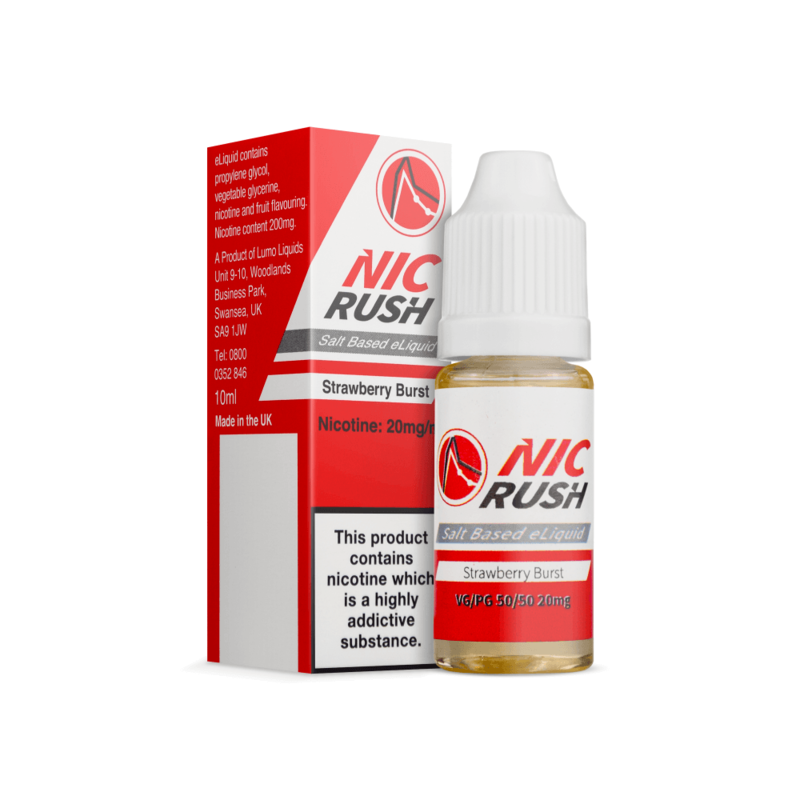 Nic Rush e-liquids have a 20mg nicotine salt formula, providing a smooth rush of nicotine that closely mimics the experience of smoking. Vaping nic salt e-liquid gives you a quick hit of nicotine with no unwanted harshness. Been buying for a while, by far the best e-liquid out there. At 3 for £10 you can’t go wrong!